Welcome to Mountain West Real Estate (Salmon, Idaho)! If you're looking to buy or sell a house, town home, condo, land, farm, or commercial property in or around Salmon, Gibbonsville, North Fork, Shoup, Carmen, Baker, Tendoy, Lemhi, Leadore, Challis, or the surrounding area, then you've come to the right Team!Welcome to Salmon, Idaho! We feel blessed to live in this beautiful corner of the world. Clean air, clean water, beautiful mountain views, plenty of recreational opportunities, small-town hospitality and neighborliness... Central Idaho is a paradise for those wanting a slower, quieter pace of life. We know that you're busy and want experienced professionals to assist you with your real estate needs. We pride ourselves on our superior, ethical service. When we say we go the "extra mile", we mean it. Literally. This is rugged and remote Salmon River of No Return country. We've been known to boat, snowmobile, even snowshoe clients into hard-to-access properties! Getting it right for you makes us happy. This means that we are tirelessly working to find your dream house or property or get your listing sold! With over 40 years of combined agent experience (that's 20 more years than any other local office! 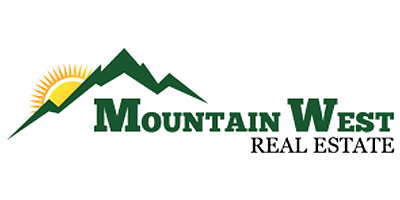 ), the Mountain West Team is very well qualified to successfully guide you through the process of purchasing or selling real estate. Most of the team has lived in the area for over 30 years and know what properties are available, even those that aren't listed. When it comes to finding a match for what you're looking for, you couldn't ask for a more knowledgeable set of agents! New to real estate? We know that buying or selling a home can be a daunting experience. That's why we're so glad you found us! When you work with one of our agents, we've got your back! We take care of all the details (i.e., that big stack of paperwork!). Browse through our listings and be sure to request our Free Report: "The Top 3 Things to Look for in a Real Estate Agent". Call Esther England, Mike Potts, Sherry Elrod, Jeni Aldous, George Harkrader or Susan Jensen today!